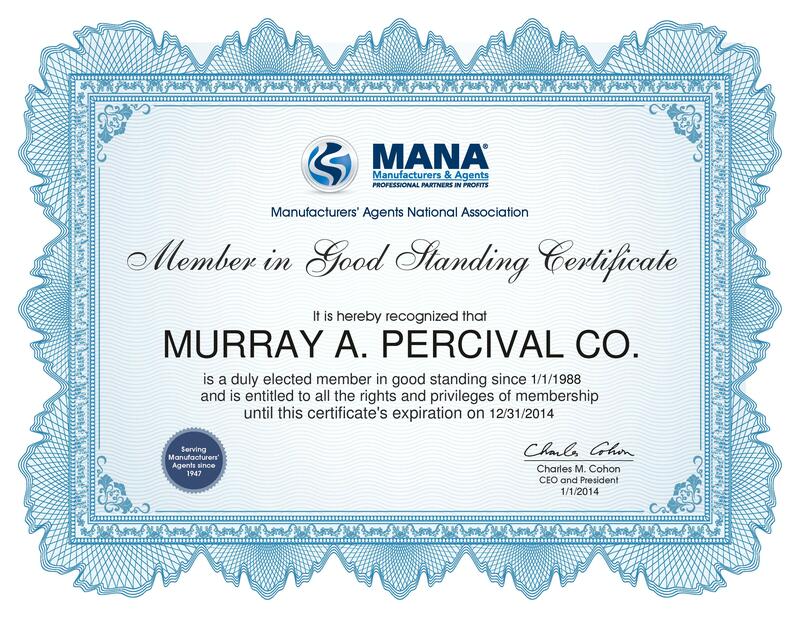 The Murray Percival Company is please to announce that we are entering into our 27th year as MANA Representative Member. As a member we ascribe to MANA Code of Ethics to guide our many relationships throughout the Industry. This is just one small way that we demonstrate how we strive for effective and professional business relationships.